Today isn’t just the 18th of September… it’s WORLD BAMBOO DAY. Today we celebrate the plant we know and love: Bamboo. We raise awareness around it’s brilliant qualities, and how important it is to grow and harvest in a sustainable way. Up until a few years ago, I hadn’t had much to do with bamboo. It was just a plant I’d associate with pandas. But now, there are several products in my life made from bamboo; I love it. In honour of World Bamboo Day, I’ve reflected on my favourite bamboo product. The product I think makes the most sense to be made of bamboo, and does the best job at fulfilling it’s purpose: PATCH Strips. I have bamboo travel cutlery, skirts, dresses, necklaces, and underwear, but PATCH strips are my top pick. The qualities of bamboo, paired with the purpose of the PATCH, mean it’s a product I now won’t live without. They just make sense! Bamboo plasters are superior, and that’s coming from a hard critique when it comes to natural products. I’m sick of compromising on quality and experience in my efforts to look after the environment, but PATCH strips don’t let me down. 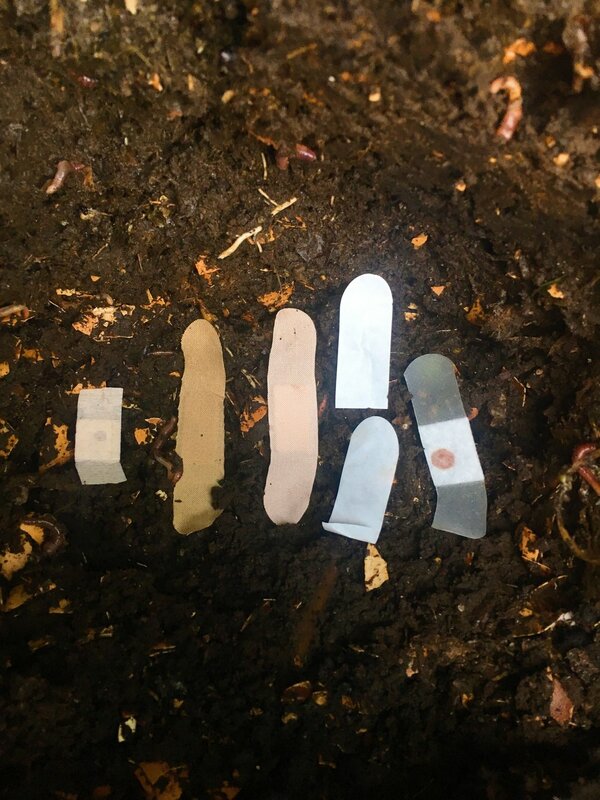 PATCH strips are organic bamboo adhesive bandages, made from bamboo, that break down in your home compost once they’ve done their job. I shared about PATCH when I first discovered their plastic-free bandage solution about six weeks ago. Since then, I’ve thoroughly put them to the test, attempted a failed compost trial, and looked into the nitty gritty details about how they’re made and why they work so well. 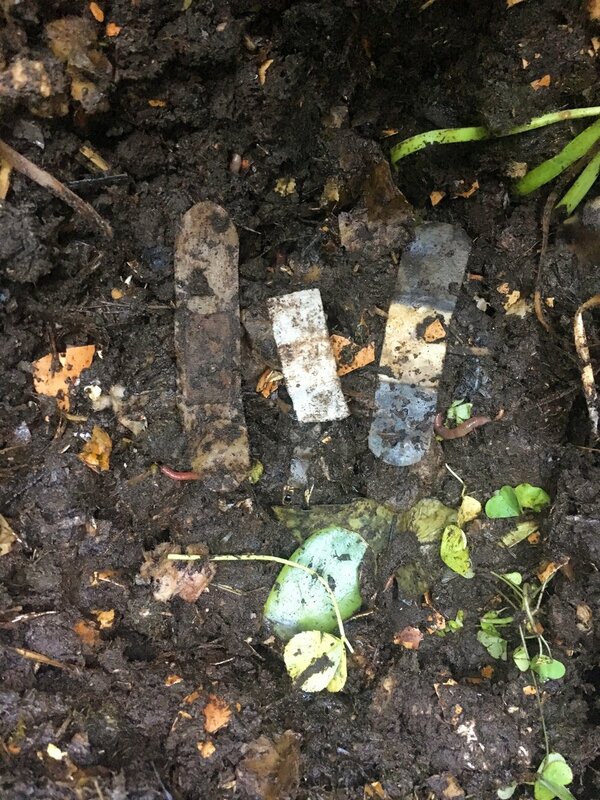 When the PATCH strips first arrived, I was all set to put them to a test in my home compost, and see how (and if!) they truly broke down, like they said they would. I spent 1/2 an hour digging around in that compost bin, but they were completely gone. I don’t give up easily, so I’ll be repeating the test in the future. Stay tuned! Not all is doom and gloom, as, like all companies who genuinely care about the environment, PATCH set out to test their product too. Slightly (well, a LOT) more clever than I am, they produced a pretty awesome video showing how their PATCH strips break down. The real test was down to my clumsiness, and how well they stayed on. I shaved with an old razor recently, and stupidly rushed through it. I ended up with not just one PATCH on my leg, and had to hop on my bike immediately to get to a meeting. Ah-hah! This was my time to test out how well they’d stay on for a full day of wear, and if they’d survive a few KMs on the bike. Stickability: awesome, perhaps even better than mainstream plasters. Comfort: softer than the plastic ones: 100%. ALSO they don’t rip your skin when you pull them off, and don’t leave that stinging feeling from the adhesive on mainstream plasters (my skin is super sensitive to those, is it just me?). Look: they’ve got pandas on them, one is dark black, and the other is tan so blends in. Need I say more? Freaking plaster masterminds. PATCH bamboo strips are made in a Lyocell production process. This is a closed loop system, which means chemicals (99.5%) are not released into the environment, rather recycled over and over again. Water and air pollution is avoided in the Lyocell process, and the compounds are generally much safer for humans. Over the course of the month, I’ve been chatting about PATCH strips and answering questions. Bamboo plasters are definitely a new phenomenon, and there’s many questions to be answered. Do they actually stick to your skin? As mentioned above, they stick no less than a usual plaster, perhaps even better. I had one on my ankle for over a day last week. It didn’t peel off, even the sides didn’t start to roll and do that weird sticky thing that gathers dust and looks manky. Is it okay for bodily fluids to go into your compost bin? This was a hard one, and I’ve spent a lot of time and energy researching into it. Heck, I even rang my dad (a vet, also holding a science degree). Googling ‘will a compostable plaster with blood on it infect your compost bin’ won’t get you far. Like I said, bamboo plasters are a knew phenomenon. We’ve decided that a small amount of blood, or weeping from a sore, will not be enough to contaminate your compost. The main concern is bacteria. But as your compost is a hot pit of bacteria, the bacteria from your skin and blood, will most likely be overpowered by the bacteria in your compost. Skin cells are another concern, but you put these in your compost when you touch your food scraps anyway. If you had a blood born disease, then you may be encouraged to avoid using your compost on a vegetable garden. But the chances of the disease spreading to your dinner guests through the lettuce you grew, would be incredibly low. I’m still looking into this, and hope more research will come out soon. PATCH strips are a staple in my handbag, and a saviour to my plastic-free living woes when it comes to caring for my body. Bamboo is freaking fantastic, and I’m so glad the founders of PATCH discovered this too. As a rule, I only work with brands I love, use, and can whole heartedly back. This is a sponsored blog (I can't pay my electricity bill with free natural beauty products), but 100% my own words, photos, and opinion. Thanks to my brother, Isaac, for snapping a few of these pics.